Over the years, Milaha has built five strategic business areas: Milaha Maritime & Logistics, Milaha Capital, Milaha Gas & Petrochem, Milaha Trading, and Milaha Offshore. With a single-minded approach to meeting our customers’ goals, all our business units are fully integrated – linked by strong communication and a shared sense of responsibility. This interaction ensures rapid solutions to all your maritime and logistic challenges, delivered with specialist, sector-specific capabilities and knowledge. Our Maritime & Logistics division delivers a comprehensive range of services to some of the region’s biggest players in the oil, gas & petrochem sectors – as well as major importers, exporters and shipping companies. Milaha Gas & Petroleum fully owns and operates a young, modern fleet of five product tankers and crude oil carriers, two gas carriers, and two LNG carriers. 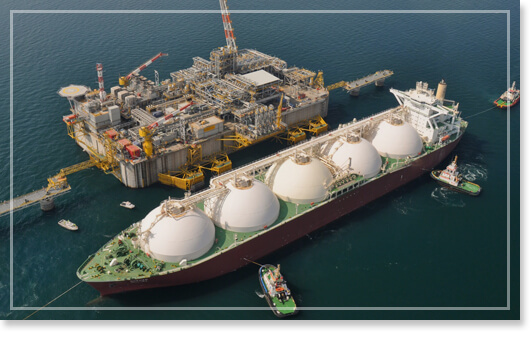 In addition, the unit also owns partial stakes ranging from 15 – 30% in seven LNG carriers, and a 50% stake in Gulf LPG, which owns and operates four Very Large Gas Carriers (VLGCs). Milaha Capital is a wholly owned subsidiary of Milaha and one of its strategic pillars. As the financial hub and investment arm of Milaha Group, Milaha Capital aims to exclusively cater to all of the Groups’ investment management needs with shareholder value creation set as the primary objective. With our excellent reputation in Qatar, and unrivalled access to the local market, Milaha Trading represents some of the best-known truck, heavy equipment, machinery and lubrication brands. The integrated nature of our business ensures multiplied opportunities for those we represent.